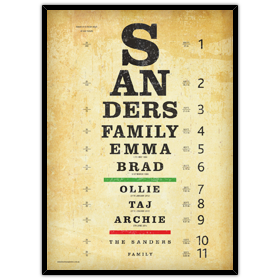 Our vintage inspired personalised eye chart is a wonderful addition to your home, office or as a fantastic gift for any occasion. Inspired by the traditional Snellen eye charts that are printed with 11 lines of block letters. 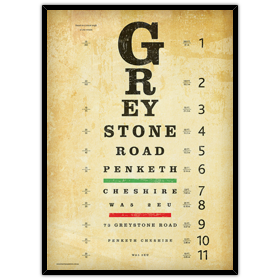 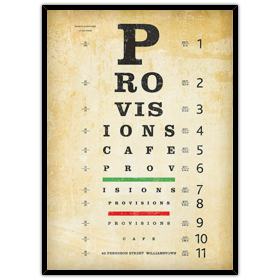 Our designer Dean Parrott has a love of classic typography and the eye chart combines his interest in all things vintage. 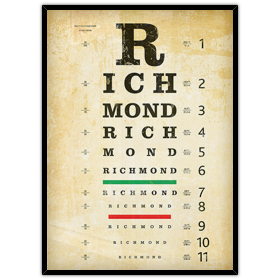 Even your wording is distressed. 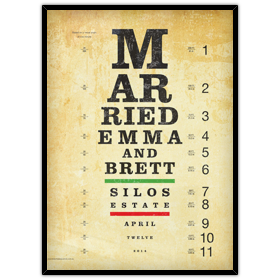 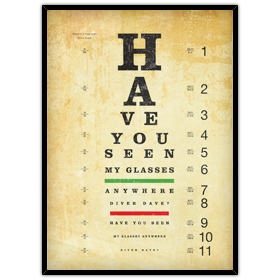 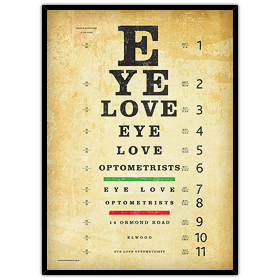 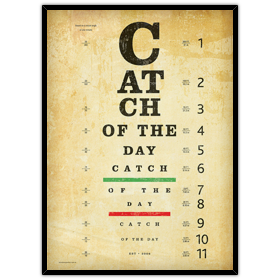 Personalise the eye chart with your name, business, town, suburb, home address, favorite saying or even add an occasion.